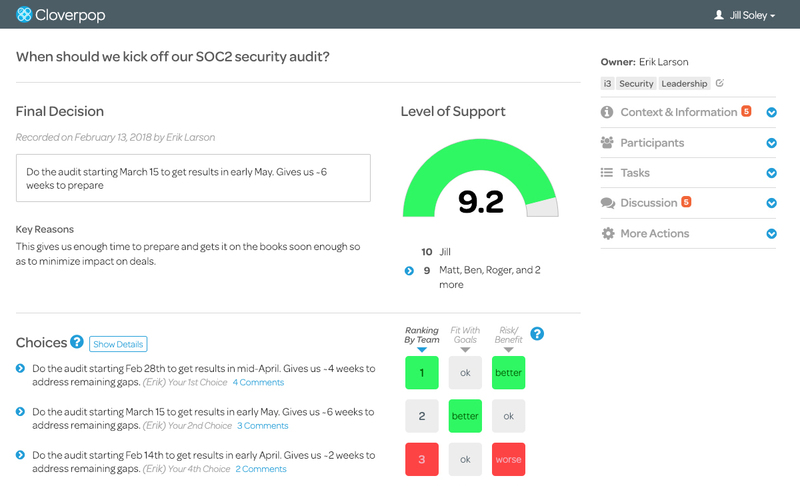 Scale success with the decision practices platform. Innovate and execute faster with the enterprise platform for business decisions. 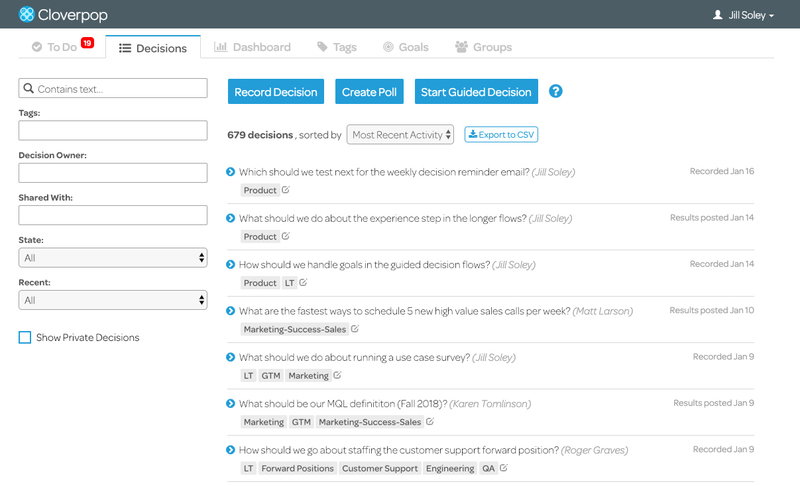 Record and track important decisions for aligned execution and better outcomes. Instantly share the what and why of decisions with full context for all stakeholders. Speed up decision making, cut meeting time, and boost decision quality at the same time. With Cloverpop you can log and track all of your organization’s decisions in one secure system of record. No more delays and rehashing. Everyone has the same view of what was decided, why, by whom, and what happened. Record decisions in minutes. Delegate tasks to the right people with full transparency and accountability. Easily find decisions and stay in the loop with tagging, searching, and filtering. 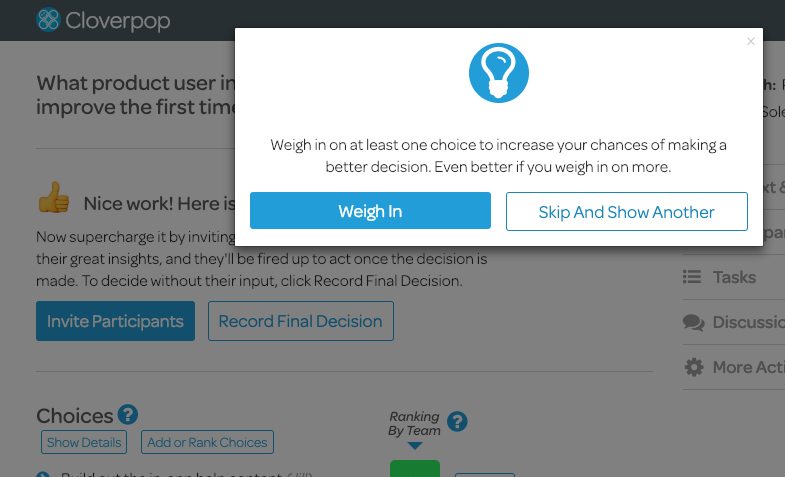 Cloverpop is proven to speed up team decision-making and drive better results. Use Quick Polls to quickly take your team’s pulse on an issue. Guided Decision Flows and Custom Templates focus discussion, cutting meeting time from hours to minutes. Your personal AI Decision Coach suggests specific actions to improve decision outcomes with the least effort, and Advanced Choice Algorithms help point out better choices. Cloverpop enables you to record decisions and communicate them with stakeholders in a single easy step. 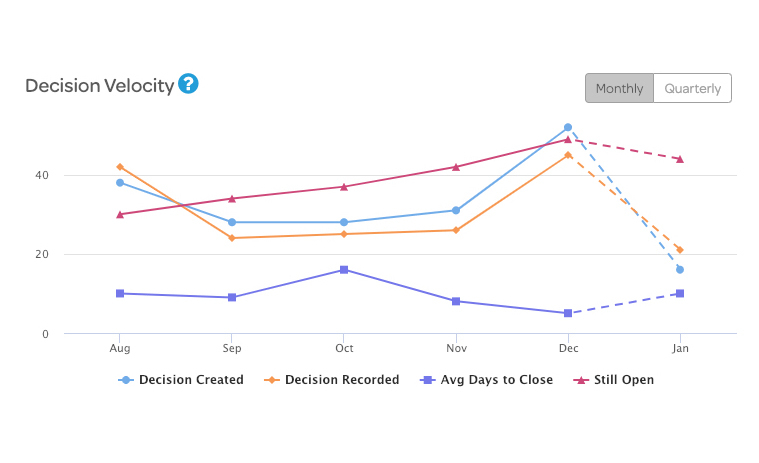 Interactive Decision Summaries give full context so teams can execute quickly and confidently. Email, Slack, and Webex Teams notifications keep everyone aligned and up-to-date. Cloverpop’s robust Decision Analytics provide breakthrough visibility into your organization’s pace of innovation and decision effectiveness over time. 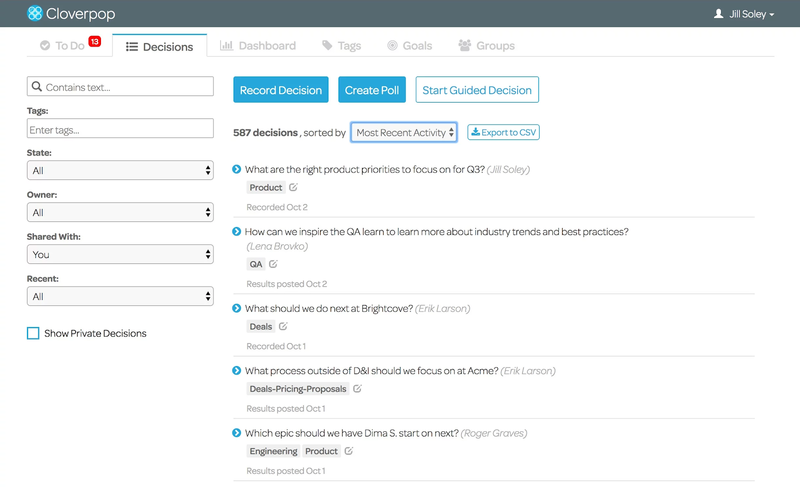 For the first time, track key decision metrics including velocity, quality, and alignment with organizational goals. Cloverpop charts a clear path to improve your decision practices for better business results. Build a shared history of all your organization’s decisions in a single secure place. Easily log the “who, what, why” to communicate and track decisions and results. Get real-time recommendations to improve outcomes for every business decision. Gain visibility into your decision speed, quality, results and areas for improvement. Delegate and track decision and execution tasks with a consolidated to-do list. Cut meetings from hours to minutes by following best practices for framing and weighing in on decisions. Zero in on the best choices based on team ranking, goals and risk/benefit trade-offs. 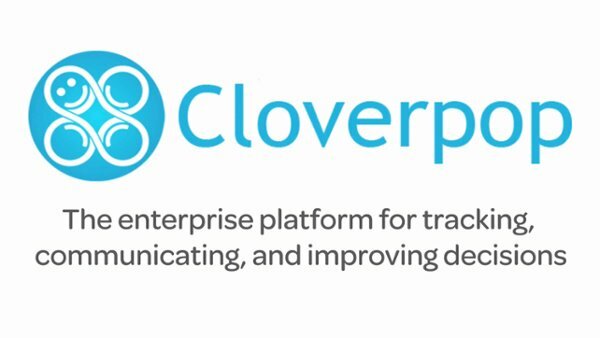 Use Cloverpop with email and collaboration tools including Slack, Google docs, and Webex Teams. Benchmark your organization's performance with our Decision Practices Diagnostic.